Diagnosing and treating epilepsy in adults age 65 and older can be complex, and it may take time to find the right treatment. 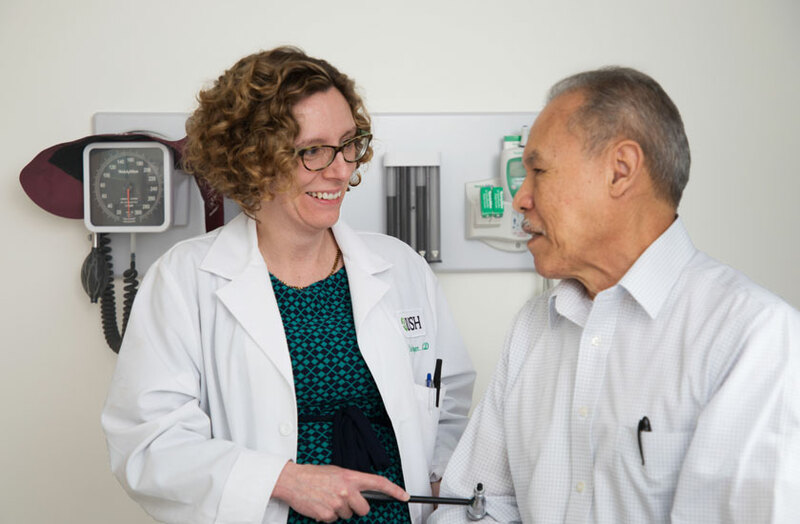 Rush has launched the first comprehensive epilepsy clinic in Chicago dedicated to treating epilepsy in older adults, serving a population that is often not optimally treated. “Because epilepsy symptoms can be similar to dementia or heart arrhythmias, patients often are undiagnosed or misdiagnosed. Epilepsy often presents differently in older adults and can be subtle,” said Dr. Rebecca O’Dwyer, a neurologist at Rush and assistant professor in the Department of Neurological Sciences at Rush Medical College. The way in which seizures present adds to the confusion surrounding the condition in older adults. The risk of having a seizure increases with age and with use of certain medications. When an older adult has a seizure, the symptoms may include confusion, falls, a nervous tick or repetitive fidgeting, and memory problems. Repeated seizures also may cause damage to the hippocampus portion of the brain, which is associated mainly with long-term memory. The team also works closely with Rush specialists from the Memory Clinic, the Movement Disorders Program, Geriatrics, and the psychiatry, rehabilitation and palliative care departments, as needed. For more information about the clinic, call (312) 942-5939.